Our Blinds for Bifold doors are designed to suit any space created by Bi-folding doors. They perfectly suited for our range of aluminium bi-folding doors. Cheam Windows can also create blinds for our range of pvcu, aluminium and timber windows. The Cheam Origin blinds truly enhance your home with a large range of fabric and colour options. We can also offer advice to create that perfect look. You have the finest windows and doors. Now you can enhance them further with the finest door and window blinds. Even if Cheam Windows installed your bifolding doors several years ago we have all the information we need to provide you with perfectly matched blinds. What Makes Origin Blinds for Bifold Doors Special? You will have made the excellent decision to let Cheam Windows provide you with your stunning bifolding doors. The addition of matching blinds not only enhance the look of your doors but also offer a practical way to perfectly adapt your home to different light and weather conditions. Open, they allow a completely unobstructed panoramic view – the reason you’ve chosen Cheam bifolding doors. When the blinds are closed, they help your room feel cosy and warm, such as the winter months. Our bespoke blinds will also help control heat in your home, how warm your room gets in full sun. The have the added advantage of offering protection to your furniture from the effects of strong sunlight too. Cheam Origin Blinds are operated simply by using an attractive and modern hand-held remote control or wall-mounted touch screen, both completely wire-free (so no channelling out is needed), so you can raise or lower the blinds with for the ideal level of shade. Better still, with the addition of indoor sensors they can also be programmed to automatically open and close at sun up and sun down – perfect to help reduce your energy bills and as added security while you’re away. Cheam Windows Consultants are professional, ethical and knowledgeable. They dispel the “traditional” image of double glazing providing you with the help and advice you need and assisting you in making an informed choice. We will not pressure you into a sale or make you feel uncomfortable in your own home. We will leave you with the information you need to make a decision in your own time with no pressure. You may be surprised not to find any window and door prices and quotations on our website. All our products are individual, made from precise measurements and dimensions and tailored to suit you. We believe our customer’s homes are all unique and it is impossible to provide an accurate quotation without talking to you first. We will never offer you false discounts or artificially inflate our prices. We will never offer “one time only” discounts or any too good to be true “special deals”. The price you are quoted will be our very best the first time, every time which will be confirmed in writing shortly after our visit. 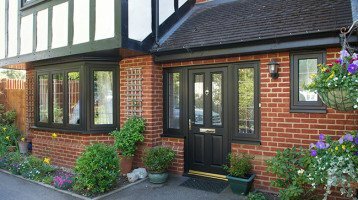 When you make the decision to proceed with Cheam Windows we will explain all aspects of your order, giving you as much time as you need to ask questions and be sure you are clear in what we will be providing. Our customer contact is transparent, written in simple plain English, clear of jargon and details exactly what we will do. We will provide you with an approximate delivery date for your new home improvement products which will be confirmed in writing. Our head office utilises the latest in technology with the important human touch and we will keep you regularly updated on the progress of your order. One of our professional surveyors with detailed building and product knowledge will survey your property and clarify any final details with you. Our installers have been trained to the highest standards, have worked with us for many years carrying out thousands of installations throughout our area and beyond. You are assured of courtesy, professionalism, clean work and minimum disruption. We want you to be perfectly satisfied with the service you receive from Cheam Windows and you have peace of mind in being looked after and any questions you may have being resolved quickly and to your total satisfaction. Contact us for a free no obligation discussion on the latest generation of energy rated windows, bi-folding doors, orangeries and more. 1. No high pressure selling. Whether you visit us at our relaxed, ultra-modern showrooms or we visit you at your home, there will never be any high pressure selling. 4. Cheam Windows is not tied to any particular product. Unlike many, we specialise in the widest range of quality home improvement products in a comprehensive range of materials and finishes. 5. If we feel a particular product is not suitable for your property we will explain why and help you to make an informed decision. 6. In the Cheam showrooms you will be free to browse our extensive range of products as you wish without pressure and our consultants will be on hand to answer your questions should you wish them to. 7. You will not receive any false time limits to place an order, or any fictitious deals. Our consultation service is free and tailored around your wishes. 8. There are no fantastic window discounts to entice you to buy “on the night”. We will simply give you the very best price we can, offering you the highest quality products and value for money. 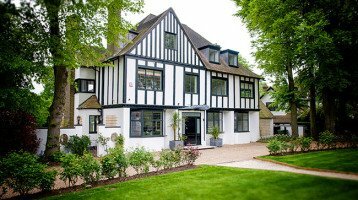 Cheam Windows has been established for over 25 years serving Surrey, London and the Home Counties, having successfully transformed the homes of many thousands of customers. We are proud of our excellent reputation locally and the home improvement industry as a whole. In 2012 Cheam Windows was ranked in the top 400 UK Door and Window Companies by Industry Analysts, Plimsoll. There are presently over 14000 Window and Door Companies in the UK. Our relationship with you commences with you safe in the knowledge that you are dealing with a reputable, service led Surrey Window Company, of long standing and financial security and a member of the relevant professional and industry bodies. We are committed to providing excellent customer service, quality workmanship and our very best prices. Every customer is important irrespective of order size or value. The vast majority of our work comes from recommendation and repeat business, testament to the excellent service we provide in windows, doors and conservatories. Our “new generation” stunning showrooms located in Cheam Village, Hampton Court and Worcester Park demonstrate how we are changing the face of home improvements, our commitment to quality, value and service where we offer free expert help and advice. Our sales consultants have been employed by us for many years and have built excellent relations with our many satisfied customers. They have the professionalism and knowledge to help you. We have a comprehensive range of products, whether you are simply replacing old windows, creating a new extension or you require advice on windows for a new build house. Our installers are experienced, professional, knowledgeable and courteous ensuring your installation is carried out with minimum disruption and inconvenience. Our commitment to our industry and proof that we are experts in our field, also extends to our work by Professional Windows in Surrey, our Group Company in commercial installations where we have carried out many contracts for local authorities, local schools, businesses, housing associations and more.